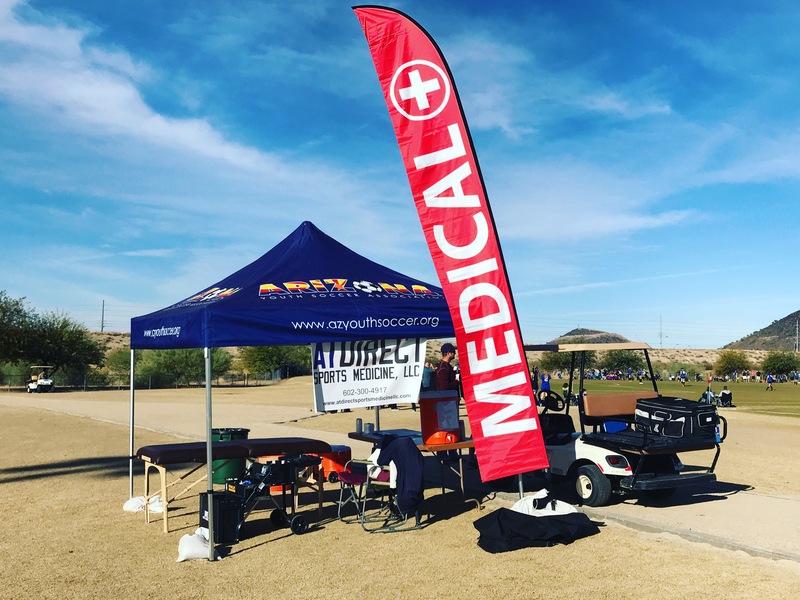 AT (athletic trainer) Direct Sports Medicine is an Arizona based company that offers a wide variety of services to meet your needs. We provide high quality care with a whole body approach to prevention, management, treatment, and rehabilitation to all levels of athletics. Athletic trainers (ATs) are highly qualified, skilled in various areas, health care providers who work interprofessionally to provide preventative services, emergency care, clinical diagnosis, therapeutic intervention and rehabilitation of injuries and medical conditions. Having them present at your event ensures a safe and secure playing field! Why are Athletic Trainers So Important? Most injuries occur during practice, not during game play. Athletic trainers are not only there after you’re injured but they are also educated in the area of injury prevention. Less than half of all public high schools have a full-time athletic trainer. AT Direct Sports Medicine ensures high quality healthcare that is particular to the athlete, the sport and the field of play!